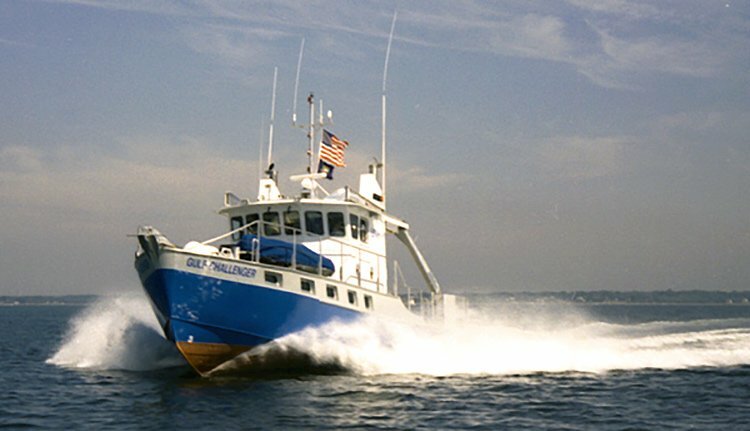 The R/V GULF CHALLENGER was designed and built for the University of New Hampshire and immediately demonstrated that a small, fast, research vessel can offer slow-speed efficiency and comfort that was equal to or better than heavier displacement vessels. Follow-on vessels in this series include the R/V FAY SLOVER selected as one of the 10 most significant vessels of the year by American Ship Review, the R/V TIOGA owned by Woods Hole Oceanographic Institution, and most recently the 81” R/V RACHEL CARSON launched in 2008 and owned by the University of Maryland. With a pair of 1,200 HP jet outdrives, the R/V RACHEL CARSON cruises at 24 knots allowing researchers more time on station and less time in transit; both of which result in significant savings in time and operational costs. This ground breaking vessel demonstrated that a small research vessel could operate at planning speeds and still have slow speed efficiency and comfort equal to or better than heavier displacement vessels. 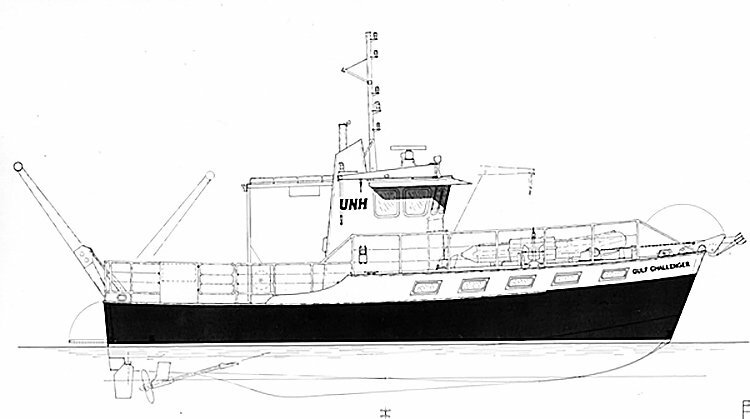 This design changed the nature of coastal oceanography and nearly every major university acquisition since in this size range has been based on the “R/V CHALLENGER” design.